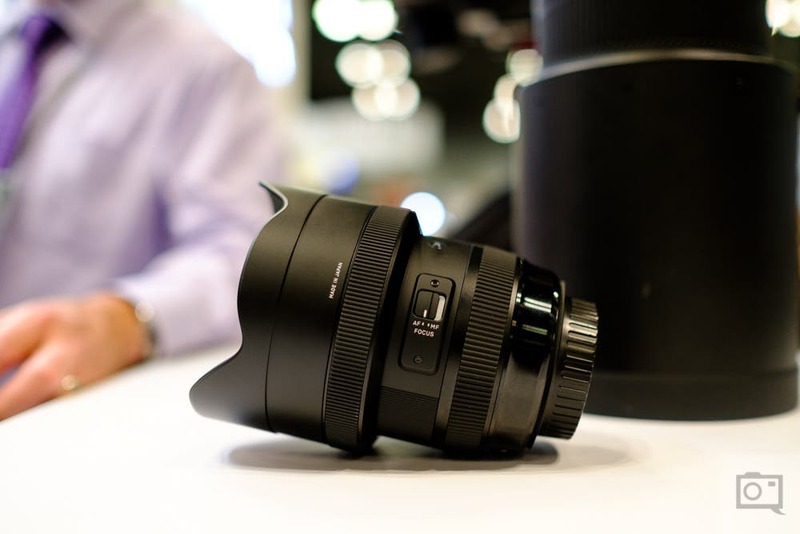 If you’ve ever wanted a really solid wide angle zoom lens arguably the best option for many years was the Nikon 14-24mm f2.8 or the Canon 16-35mm f2.8 L. But the new Sigma 12-24mm f4 Art lens is looking to challenge the offerings from both of those companies by also incorporating a bit of weather sealing and making the price more affordable. 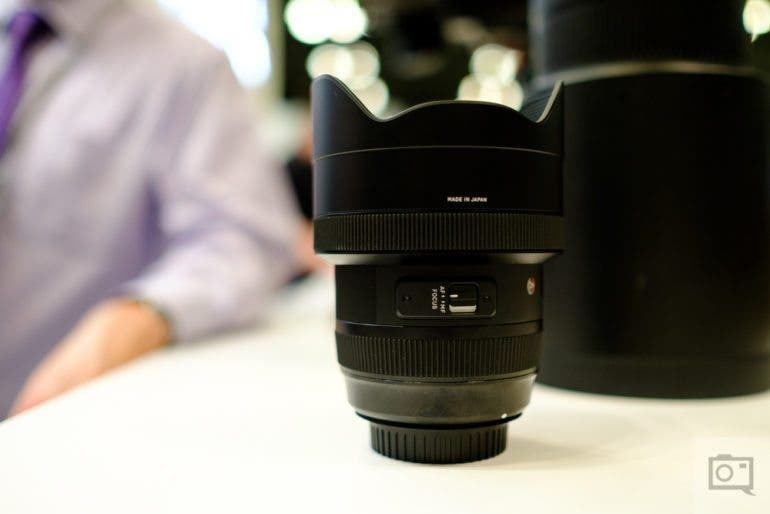 It’s a huge lens even by today’s standards, and designed with 9 aperture blades. At Photo Plus 2016, we got the chance to play with and handle the lens for a little while. (Diameter x Length) 4.0in. × 5.2in. DG – DG for Digital* The appearance, specifications, and the like of the product are subject to change for improvement without notice. 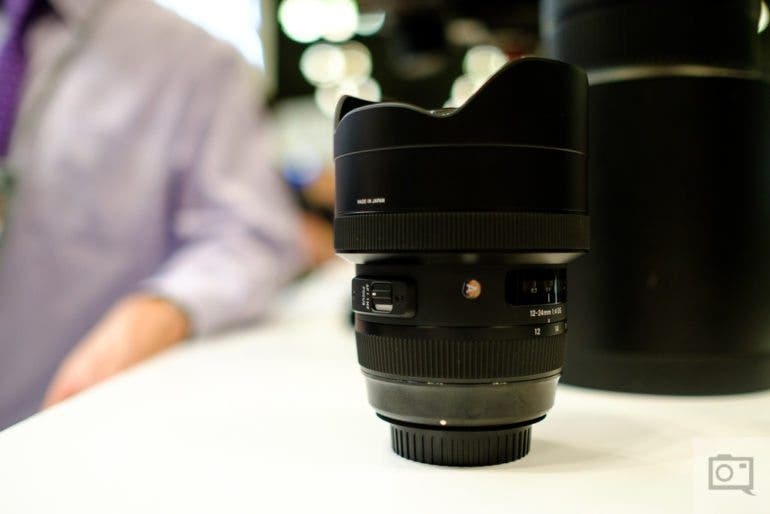 When you look at the new Sigma 12-24mm f4 DG Art lens, you already know that it’s a big lens. Most of the body is characterized by two rings: one being for focusing and the other controlling the zoom. There is also a focusing distance scale. Turn the lens a bit and what you’ll find is the Art lens moniker. What you’ll also spot is a little bit of the smooth metal-like finish. Here you can also find the MF/AF switch. 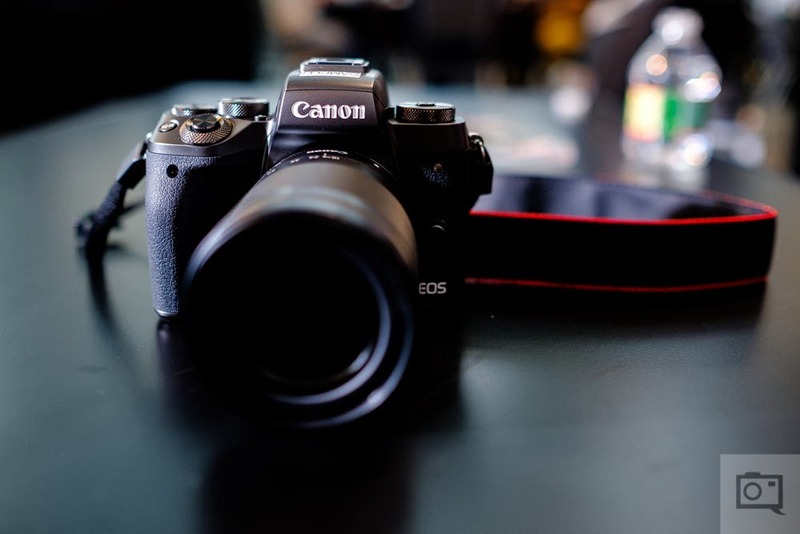 By now, you’ve probably noticed that the lens hood is permanently attached to the body. Looking at the lens overall, you can see its unique shape and how it will conform to the hand as you hold it. Notice how towards the zoom ring (closer to the mount) it starts to swell again in size. When you look at the front of the lens, know that you won’t be able to attach a filter to it. But also note that that front element is pretty large and the lens cap goes over the hood and the element. Towards the back of the lens what you’ll find is a bit of weather sealing. This is a rubber ring that helps to keep dust and moisture out. There is also one towards the front of the lens. However, this isn’t as much weather sealing as Canon, Nikon, Zeiss, and Tamron offer. Overall, that makes Sigma look a bit behind on the game here. During our initial test, we didn’t get the chance to mount the lens to a camera. The show was just about ending that day. We also didn’t get to mount the lens to a camera, but as with most Sigma glass we expect it to be sharp, contrasty and saturated. We’re attempting to call in a review unit; but at the moment we’ve got mixed feelings about the lens. 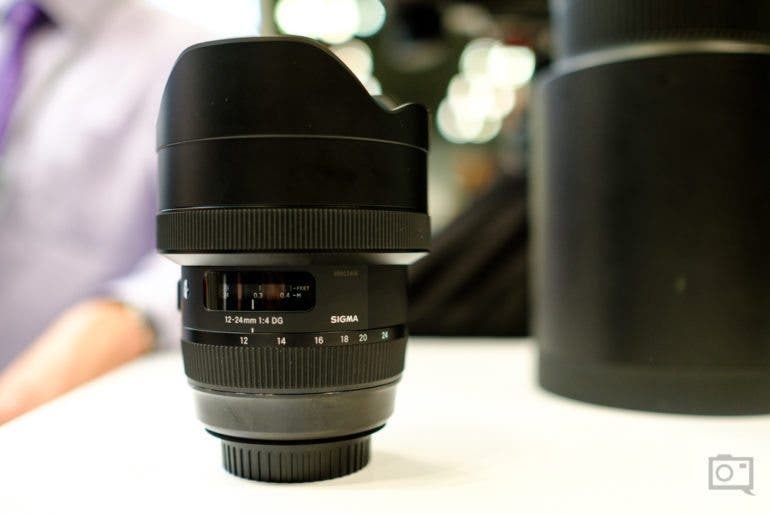 In a time when all third party manufacturers with the exception of Tokina add weather sealing to their lenses, I really wonder why Sigma wouldn’t do this to a workhorse.